For years, I have wondered about the C.W. Stuart's fifth. It seems to be surrounded in mystery and conjecture, with parts and pieces of different moulds and glasshouse markings on the base (C&I)...the dates of distribution have even been in question, but that has recently been narrowed down ( mid 80s). No indication of the agent embossed...on and on. These are found in the Pacific Northwest occasionally, so are of special interest to me. I know there is at least one example with a tooled top. I am 100% convinced it is Western blown. 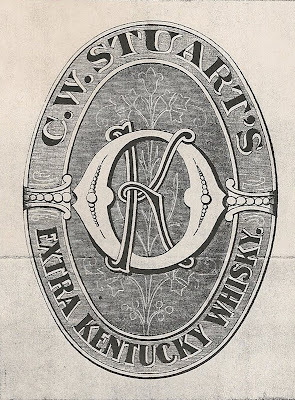 Thanks to Bruce over on the Tooled Top Gazette, I found a piece of evidence as to what is likely the most often speculated aspect of this bottle, namely the "K" in a circle on the reverse shoulder. It has been theorized it is "Kellogg" , but the dates just do not add up for this to be the case in most opinions. I believe that while I am probably behind the curve, and everyone already knows this, the "K" in a circle is simply "OK", and not the agents initials. See the label from Bruce's site, and form your own opinion. We know that this is a Wilmerding product, but I believe that Kellogg was not in the picture during the time this bottle was distributed. The old saying about not being able to see the forest through the trees couldn't ring truer here. I'd never noticed the similarity between the label and the embossing. Probably because I've only seen a couple of the Stuarts. Thanks for clearing up the view; I'd say you're 100% right! Great observation. I'll buy that.... the K encirlced is "OK". Good job ! 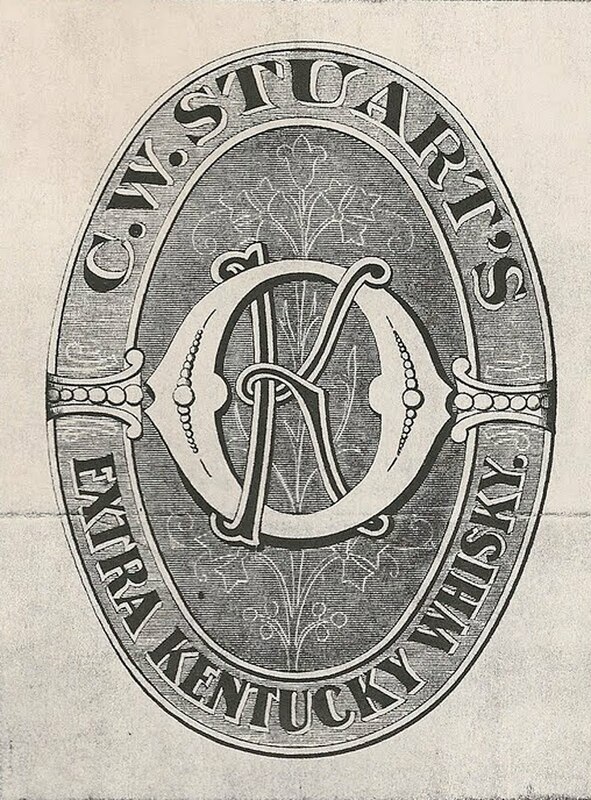 That Stuarts looks like the example that came out of VC 40 yrs ago; chocolate amber, full of seed bubbles, and a giant top. The top example by far, of the Stuarts. How about a centerfold shot ? I Don't think this was going on in Nevada !